I don't like being serious. Well, I mean, I do, but not ALL of the time. Do you ever notice how absolutely boring it can get to be constantly serious and mature and unimaginative? As we get older it seems that we lose our sense of curiosity and become inhibited and far too self possessed. The other day it was pouring rain. Torrential rain. And all I could think of was "how much fun would it be to run around outside in the rain?" I was working on something or the other at the time and did need a break, so why not make it dancing? Off came my shoes, and out of the door I went to have my bit of fun in the rain (if you want the video evidence, check it out here). Why is it that these moments are far and few in between? It must be because life gets more complicated and there is increased responsibility and consequences for our actions. While I won't suggest that we throw caution to the wind in the pursuit of having a child-like nature, I will say that we all need to incorporate more whimsy into our lives. Here are some ways to start doing that today. Music has the ability to transport us and transform the world around us. A simple train ride to work can become the Hogwarts Express with a Harry Potter soundtrack on. A walk during your lunch break is actually a tumble down the rabbit hole with the Alice in Wonderland soundtrack. Choose a soundtrack that speaks to you and make it part of your day to day life. Allowing your mind time to wander makes you happier and increases your creativity (I'm sure there's scientific evidence to back me up somewhere...and if not, it's still a fun thing to do). What's something that you look at every day, multiple times a day? Your phone, of course. So why not have subtle reminders not to take life too seriously? Here are two Harry Potter wallpapers I am currently using and loving! 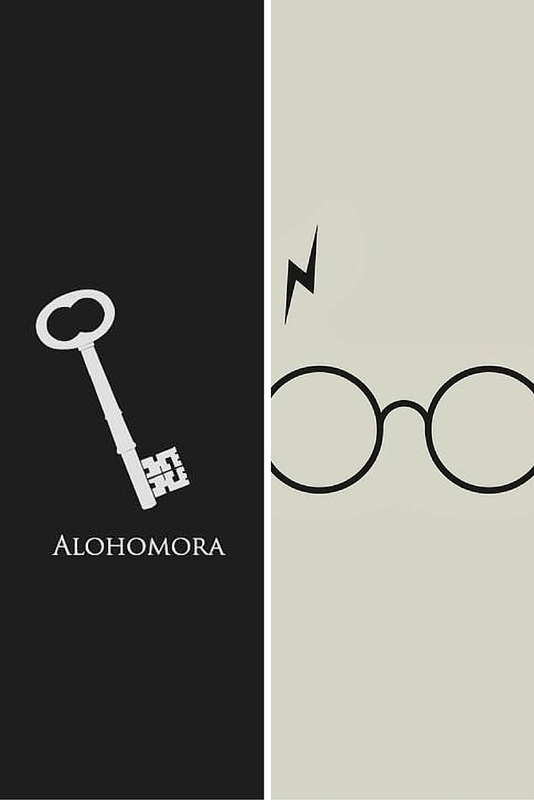 For the muggles out there, the word "Alohomora" is the spell to unlock things. Hence, it's on my lock screen and I completely feel like a witch when I open my phone with the touch id haha You can find a bunch of great options for whatever you are into on Pinterest. There are small things that happen everyday that are sort of magical. From my dancing in the rain example before, to eating a scrumptious breakfast with the morning light hitting the table in the perfect way, to noticing a new flower you hadn't seen before. There are countless instances that are magical if you are only willing to look. The moral of this post: be curious, be engaged, and be whimsical. Life is a lot more fun this way, trust me. 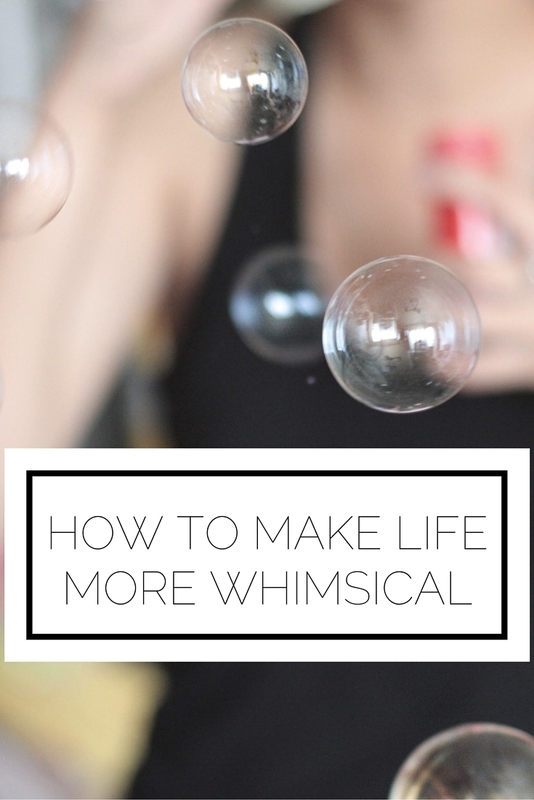 How do you bring whimsy into your life?